are trying not to revisit any cities/regions until they’ve seen everything once…but, c’mon. Who can resist Provence? I learn a lot from Melissa Clark’s cooking videos from the New York Times. This is one of my favorites from her. 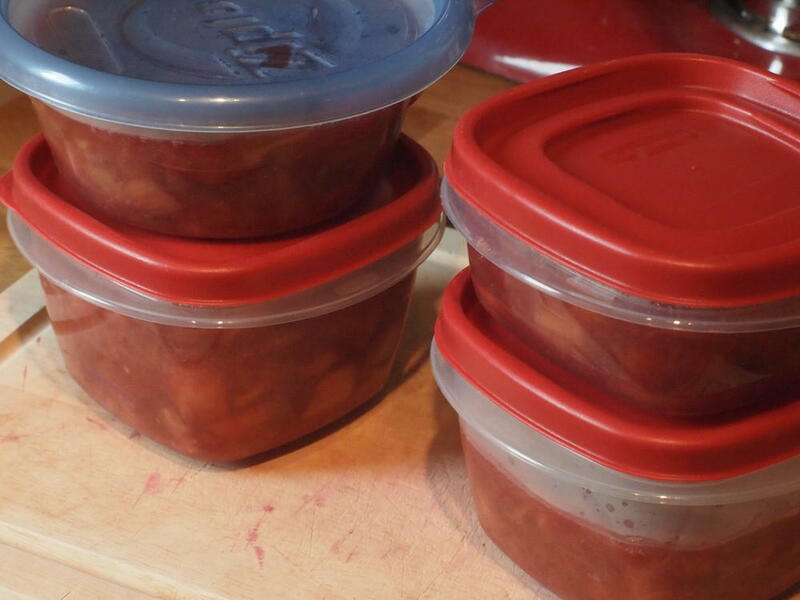 You’re going to need: rhubarb and sugar. Yep. That’s it! A pinch of cinnamon and an eighth of a teaspoon of vanilla adds a nice balance to the tartness. Scale the recipe up as much you need to. You’ll want that tart and sweet rhubarb flavor over ice cream (or maybe this Lemon Mascarpone Gelato) in July. Or November. 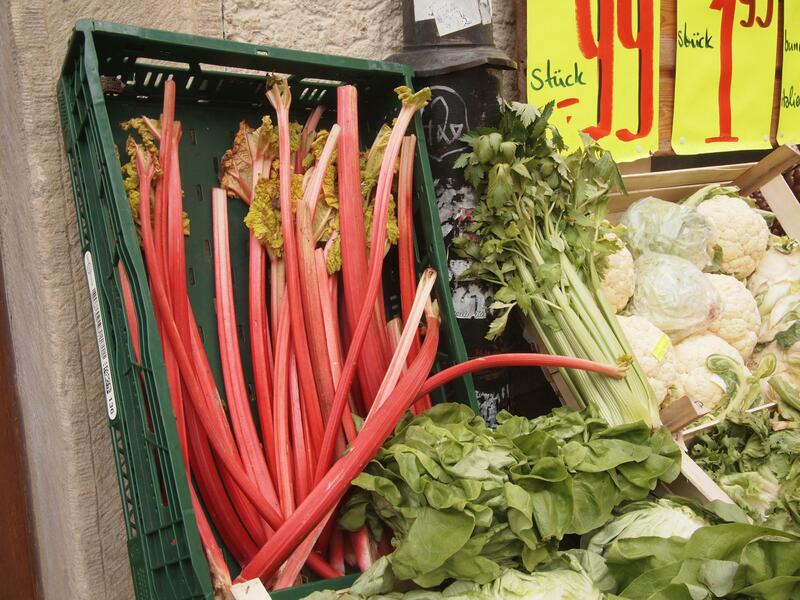 Or whenever you can’t get rhubarb anymore. It freezes beautifully, so clean out your local rhubarbmonger’s stash and surprise yourself guests in the off-season. Note: rhubarb leaves are apparently toxic, with a lethal dose set at the inconceivably high 5kg consumption (thanks Wikipedia). So don’t eat them. 1.42 L (6 cups) of yumminess. Wash the rhubarb and trim away the leaves. Combine them with the sugar over low heat in a saucepan. 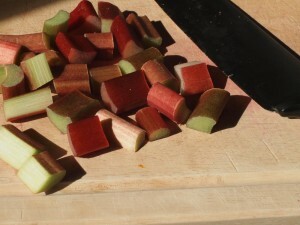 After the rhubarb has softened (easily pierced with a knife or fork), remove the pieces from the saucepan with a slotted spoon to a bowl and set aside. Continue cooking the liquid in the pan down into a syrup. After a few more minutes, it will noticeably thicken. 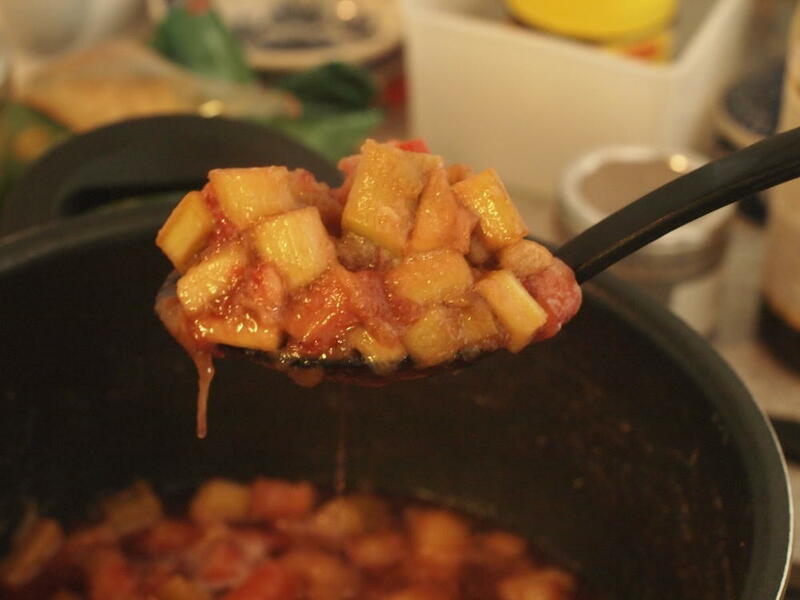 Combine that syrup with the softened rhubarb pieces. Let it cool and portion it out into off-season treat sizes for freezing. Mmm! That sounds delicious! 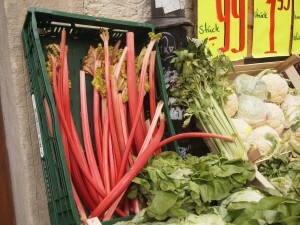 I will have to get my husband to pick up some rhubarb next time he goes to the Fischmarkt.